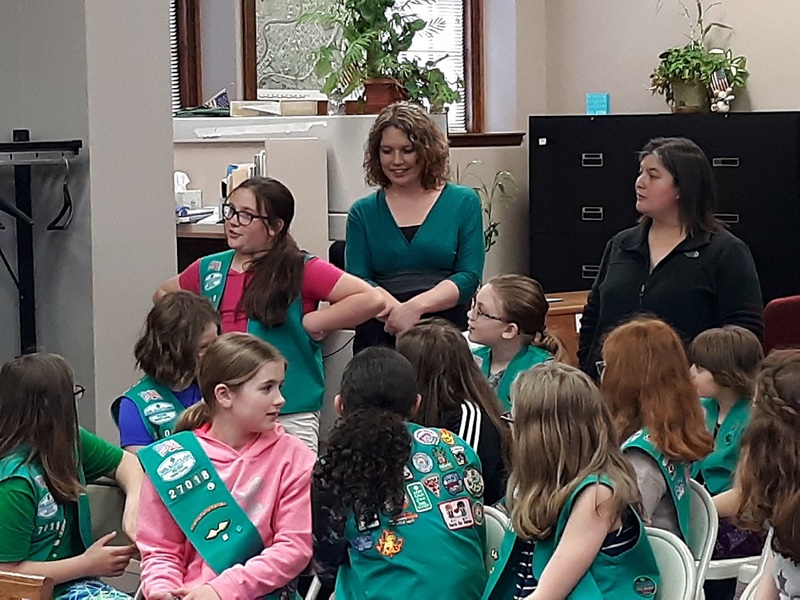 CLEARFIELD – Junior Girl Scout Troop No. 27018 is working toward the Bronze Award of Girl Scouts. This is the third-highest award for Girl Scouts and the highest award for Junior Girl Scouts. The girls spoke to Clearfield Borough Council last night about a project to obtain that goal. According to the Web site www.girlscouts.org, the scouts need to be in fourth or fifth grade, be a registered Junior Girl Scout and have completed their Junior Journey. The Junior Journey is entitled “Agents of Change” and gives girls the opportunity to learn about women who changed their world and how they can use their talents to change the world around them. They then team up to make a change in their community. For their Bronze Award, Troop No. 27018 decided to create a sustainable project by building king-sized picnic tables for the parks in Clearfield Borough. The girls explained they looked at a child-sized table and made their own blueprints in order to make larger tables. After explaining the project to council, the next step for the girls is to look at what the costs will be, and then talk with businesses in the area and ask for donations. Then, the girls will start work on their first table. Borough Operations Manager Leslie Stott commended the girls for their initiative. 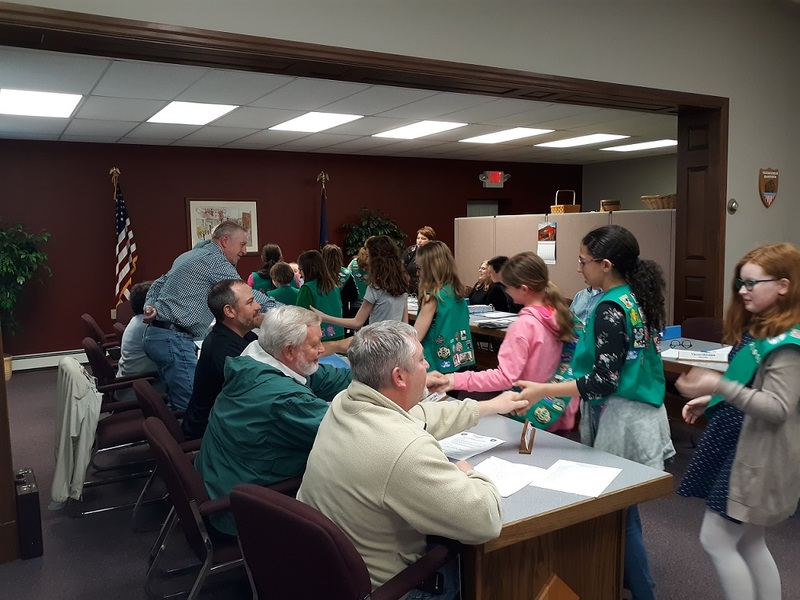 She said it’s refreshing to have the Girl Scouts talk to council about a project. The plan is to first build a table for Rebecca Park, and then one for Upper Witmer Park, Kurtz Park and finally Lower Witmer Park if they have the funds and materials. Council thanked the girls and gave their approval for the project.